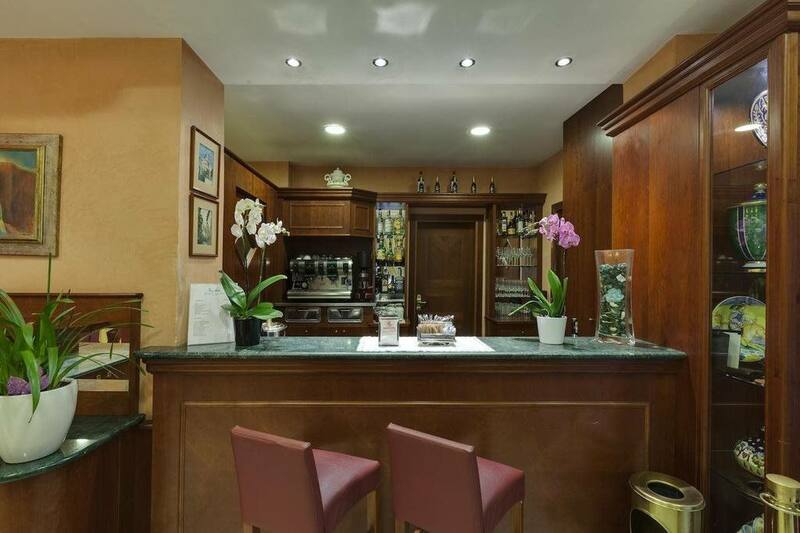 The Hotel Arizona Florence offers guests the finest of surroundings in the magical heart of the city centre with all of the modern facilities. 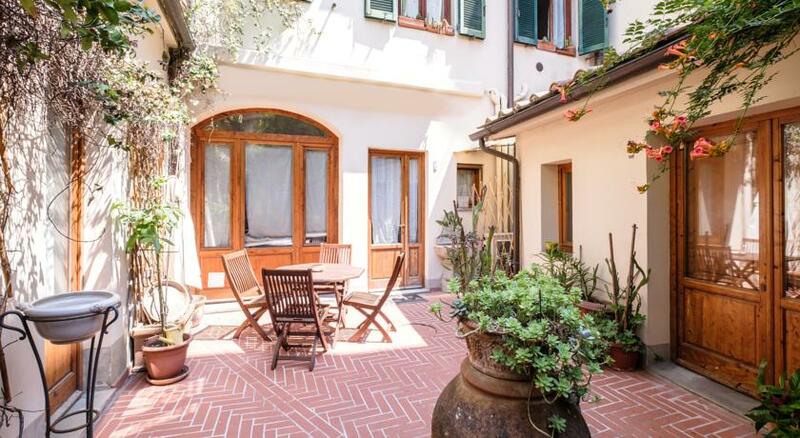 one may require at the touch of a button, making this beautiful 19th Century 3 stars accommodation the ideal choice for that romantic break in the historical city of Firenze. 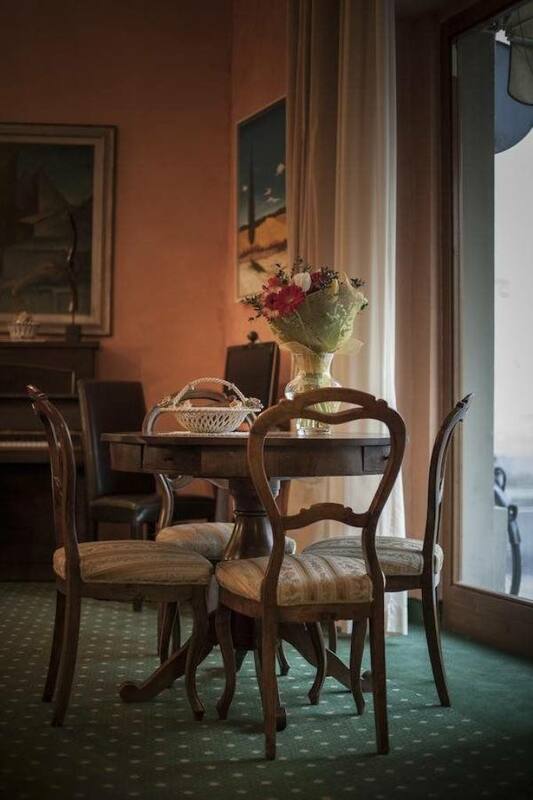 All parts of the Hotel Arizona Florence are elegantly decorated in a modern yet cozy style, offering guests the tranquility and relaxation of home. 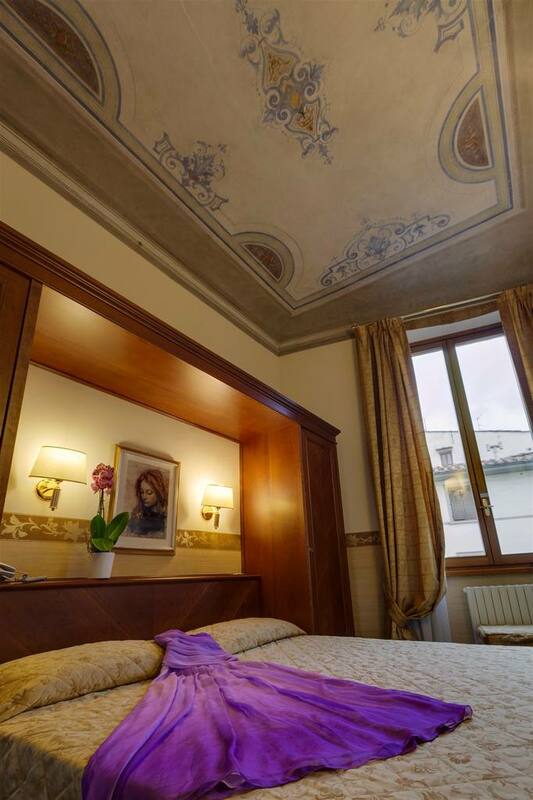 As it׳s located next to the synagogue, Hotel Arizona is your perfect choice of stay in Florence. The hotel is in the center where guests can walk everywhere. There is a kosher restaurant just next to the hotel and for shabbat there is Rabbi Boreinstein that makes the meals. 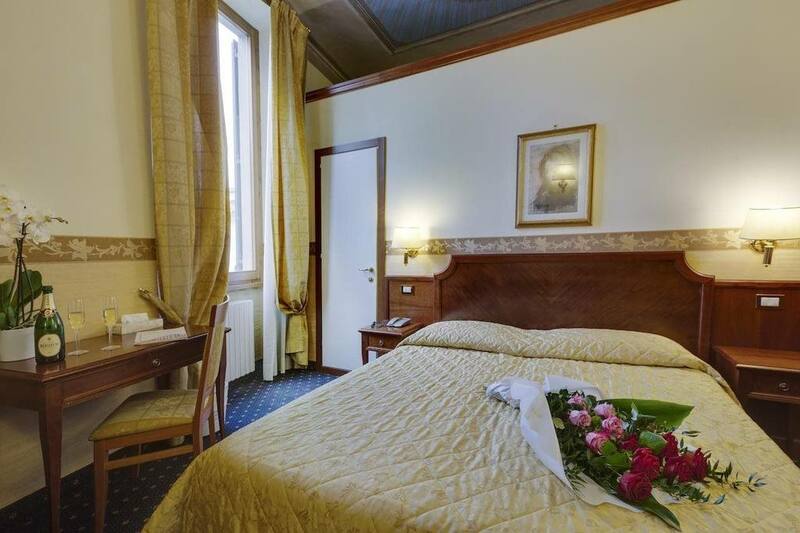 Hotel Arizona, an elegant 3 star hotel in Florence, situated in a splendid villa built in the 18th century. It has been completely restored and has now recovered its ancient splendour. 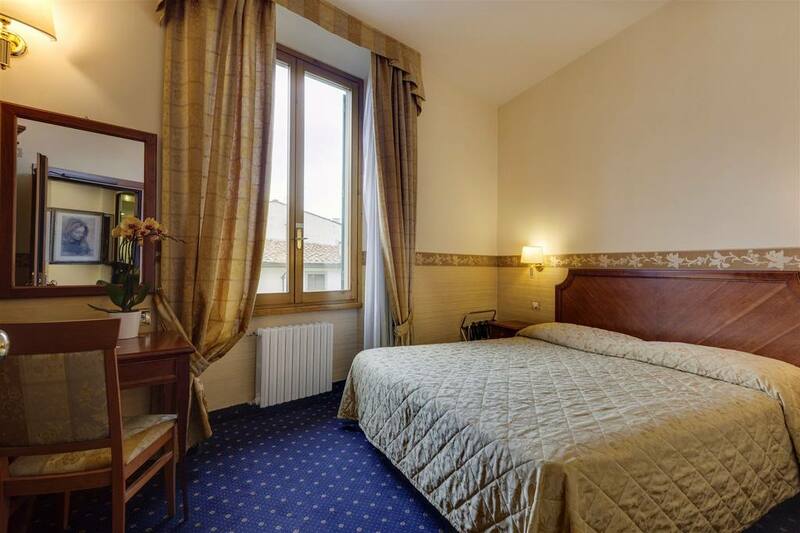 All rooms have been recently renewed and provided with all comforts (a fine Florence hotel accommodation), to make your holiday always more pleasant. A shuttle bus service to the airport or to the Florence train station is now also available upon request. 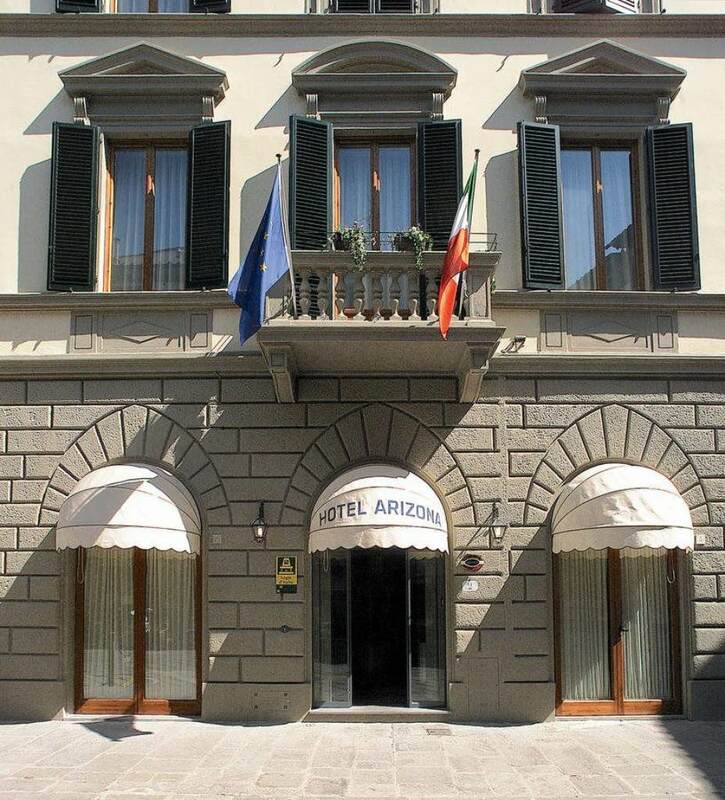 The Arizona Hotel is situated in an ideal position in the historical center of Florence, near main monuments of the city: the beautiful Synagogue (Major and unique Jewish Temple of Florence), the Florence Dome, the Public Square of S.
Croce and Ponte Vecchio (Old Bridge), all comfortably reachable by walking between the historical ways of the capital city of Tuscany. Next to the hotel you can find kosher restaurant and synagogue. There are single rooms, double rooms and rooms for three. In all rooms, there is bathroom, air condition, mini bar and television. All rooms are sound proof. From the Florence airport, The hotel suggests to take a taxi (expecially if you have many luggage) because it is fast (30 minutes to arrive), confortable and cheap (fixed price of 20 EUR plus 1 EUR each luggage). The Hotel suggest taking a taxi (if you have a lot of luggage) because it is very fast (5 minutes to arrive), cheap it cost about 10 EUR plus 1 EUR each luggage. And because it is not very simple to walk in Florence downtown with luggage. You can come on foot(about 20 minutes) or with the bus number 6, 14 or 23 until the second stop of Via delle Colonna. 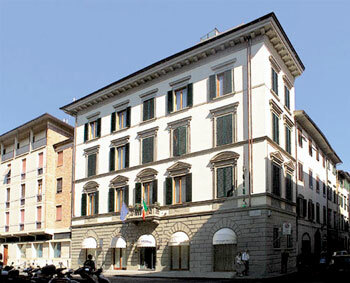 By Car: How to arrive at the Hotel in the center of Florence. Take the exit Firenze Sud and then go all straight on Until the end of the highway. Then turn left, indication to the historic center of Florence (centro) or the avenue (Viali di Circonvallazione) and go all straight on. You will arrive to the Viali di Circonvallazione. Go straight till Piazzale Donatello and turn on Via Vittorio Alfieri. Then go straight through Piazzalz D׳Azeglio and Via Farini and you will see the hotel after the Jewish Synagogue on your left.